Social entrepreneurship is still a rather new term in the Slovak business environment. However, the success of the early initiatives, the growing interest of the startup community, and especially its boom in bigger markets all suggest that this is likely to change. Baška Klimek, who knows the local social business and innovation scene like few others, shared her views on the specifics of this business model and its potential in Slovakia. How would you define social entrepreneurship? Where do you see the main differences between traditional and social entrepreneurs? 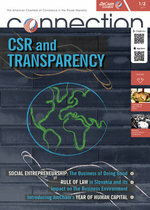 Social entrepreneurship is business as any other. It should know how to make money and it should be based on a realistic business plan. You have a product or service that you offer in the market. It must be attractive and functional enough to catch people’s attention. However, in addition to the sale and profit, your business also helps to solve a social problem and develop society. You should also reinvest your profit back to the company which results into a bigger and bigger social impact. In my opinion there are two types of social business. The first one is more traditional. It’s about common services and products created with the help of marginalized groups. By running a social business like this, you reduce their unemployment and offer them better conditions for integration into society. For example, this could be a cafe which employs homeless people or a brand of design clothes which cooperates with mentally challenged people. Most of these brands and small companies are operated by NGOs. The second type of social business focuses on social innovations through technology. Technology is perceived as a means to achieve a positive change and young tech companies and startups attempt to create innovative solutions for many global problems. This approach is known as “Technology for Good” and it focuses on topics ranging from environmental pollution or global diseases to new forms of education. The resulting product could be a mobile app, an online platform or a hardware solution. This direction is getting more and more popular in the startup community. Does this approach represent an alternative for a small number of enthusiastic individuals and companies or does it have the potential to enter the mainstream? I believe it offers equal opportunities as the classic business model and over time it will become a common alternative for every business. Because all of us have to deal with the problems of society, we should start solving them now. More and more people are beginning to understand this. In the past, mostly non-profit organizations or state institutions were focused on the social issues. Today, these issues are attractive also for entrepreneurs and young leaders. Of course, like any trend or significant change, it starts gradually. Abroad, it is already a common concept which is gaining in popularity due to the fact that it is based on the principles of sustainability. Every year, the most inspiring examples of socially beneficial businesses in the world are selected by “Forbes” magazine. The number of incubators, accelerators and programs supporting social business projects is increasing internationally. It must be said that everybody – an individual person, a small business or a large company – has the potential to become a social business. How do you perceive the for-profit versus non-profit debate within the social entrepreneurial community? In Slovakia, the concept of social business and social innovation is still very, very young and many people confuse social business and NGO principles. But a social business is still a business. Its essence is to create profit. Unlike a charity, a social business generates profit and aims to be financially self-sustaining. Removing the need for fundraising allows social businesses to re-invest profits back into generating a sustainable social impact. Raising awareness about this kind of business is needed for a better understanding of the concept. This can be achieved through greater media coverage and the implementation of this concept into the system of education in high schools and universities. It is necessary to show real case studies based on this business model and explain all the essentials, its pros and cons. What is the current state of social entrepreneurship in Slovakia and what kind of development do you expect in the next few years? Companies in Slovakia are starting to be more socially responsible. And that is how they also try to run their business. It is becoming a standard that companies dedicate some of their employees’ time to volunteer activities and care more about the impact of their activities on the environment. Great examples of important organizations active within this field are the Pontis Foundation, the Center for Philanthropy, as well as big corporate foundations. But we are still missing the basic building block of the economy – the active individual. The businessman. One that not only makes socially responsible business but whose main business activity directly addresses particular social problems. It seems that more and more companies are starting to think about social responsibility and incorporate CSR elements into their activities. However, this is mostly true for well-established and successful companies. Is the social entrepreneurship sector attractive for young talent as well? Here, our education and incubation support play a big role. I’d like to mention several organizations and their initiatives dedicated to educating young entrepreneurs and future leaders such as the Social Impact Award provided by Rozbehni sa and Impact HUB, Junior Achievement Slovakia and their Social Innovation Relay, Provida Foundation, Edufactory by Pixel Federation, Nexteria Leadership Academy or Leaf Academy. They all focus on high school and university students and are active in the education of the next generation of entrepreneurs and leaders. When it comes to available means of support in setting up a business, several options exist as well. This kind of assistance is provided for example by Impact HUB and our incubator. Funding and additional assistance for projects looking for “Technology for Good” solutions can be obtained from StartupAwards organized by Neulogy. How do investors in Slovakia perceive the sector of social enterprise? Investors perceive the social enterprise sector carefully. There already are a few organizations which are building a base for impact investment and investors who support promising and scalable social innovation startups and projects with innovative financing options. It’s an important step to bring social entrepreneurship closer to the mainstream. We can find great examples abroad — Toniic, a global community action for impact investors, which aims to create a global financial ecosystem operating to create positive social and environmental impact. It has a growing portfolio of showcases, members in over 26 countries and its members have invested globally. Moreover, Toniic designed and launched the first of its kind experiential impact investing practicum in partnership with Santa Clara University and KL Felicitas Foundation. From my point of view, educating a new generation of investors is as important as educating people about the new generation of business. Since financial profit is not the only goal of social enterprises, how is the success or impact of these projects evaluated? We must admit this is a big issue in the world of social entrepreneurship and investment. I recently started reading an interesting book entitled “Measuring and Improving Social Impacts: A Guide for Nonprofits, Company, and Impact Investors” written by Marc J. Epstein and Kristi Yuthas. I have to agree with the authors that the most important first step in measuring the social impact is to have a clear definition of what success would look like and to carefully articulate a path how to achieve it. Without a clear articulation of what an organization is trying to achieve, measuring success and impact is quite challenging. In addition to that, the role of data collection is strategic, just like it is the case for other business models. However, this sector is not so keen on big data because the scope of work in social businesses is usually small and local therefore big data are not so relevant in determining the social impact. It is much more important to focus on collecting and properly analyzing the data that matter and are more relevant to the project’s or organization’s objectives. To demonstrate this on a concrete example — the number of disadvantaged people employed by a company or the number of young students attending your academy are not the ultimate goals and the only significant indicators of success. You have to look beyond the numbers and focus on what further impact your actions have on their careers, lives and on the whole topic. It is much more complex and difficult than in conventional businesses. What financing options are open to social entrepreneurship startups in Slovakia — angel investors, corporate investors, crowdfunding — and which of these offers the best chance to succeed? All of them. But a good business plan should consist of several different financing sources and social businesses should bear in mind the opportunity to apply for grants and use PR in public crowdfunding. That is their big advantage over conventional businesses. Could you mention a few social entrepreneurship startups or young companies from Slovakia which stand out? Dobre&Dobré, the only pro-social café in Europe employing homeless people on their way back to normal life and helping them with the daily integration. Hento Toto, a center run by a group of mentally disabled people who, under professional management, create brand design-clothes, graphics gifts and also provide catering services. United Colors, a community center providing laundry services as a platform for re-employment of marginalized groups, especially Roma people. Green and Yellow bikes are both bike sharing services based on sharing economy principles. From the “Technology for Good” area it is worth to mention Stemi, the winner of the StartupAwards in the Society category. It is a mobile application intended for professional paramedics which remarkably shortens the ischaemic interval and improves the prognosis of patients suffering from myocardial infarction. In Addition, Corvus is a set of apps for Android phones accessible to blind and partially sighted users. I would also like to mention the absolute winner of StartupAwards – MedirexDx. They develop technologies and products for molecular diagnostic markets superior to currently available products as well as hi-tech 3D digital pathology services. Thanksgiving Charity Drive: 15,000 EUR for charity!